About 90% of the American population has had their wisdom teeth removed. But why is it important that we get these teeth extracted? Is wisdom teeth surgery really that important? What happens if we don’t have our wisdom teeth taken out? The team at our dental office in Strongsville has the answers. 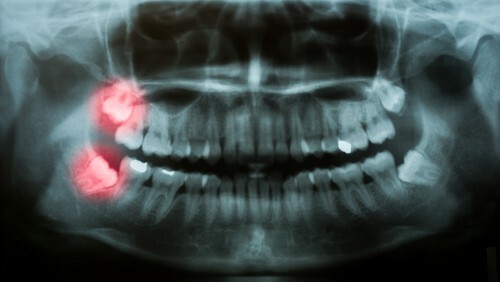 Wisdom teeth tend to develop in our teens. This is when your dentist in Strongsville should start to see these third molars on x-rays and when your dental team will start to monitor their development. Occasionally, wisdom teeth develop just fine and there are no reasons for concern. Other times people don’t get their wisdom teeth at all. But more commonly, wisdom teeth need to be removed for a few specific reasons. Let’s take a look at the top reasons why wisdom teeth extraction is usually recommended. Wisdom teeth removal is incredibly common and most people have theirs removed at some point in their lives. The best way to monitor wisdom teeth development is to maintain regular appointments at our Strongsville dental office. Keeping a close eye on how your wisdom teeth are erupting can mean a quicker treatment plan and easier removal.